About a year ago I wrote about the newly established Eastern Counties Leagues and their impact midway through their first season. I went to watch Brightlingsea play Clacton II in EC3 South at the weekend and it prompted me to revisit the article and see how things have moved on. Instinctively it feels as though there are more games being played at the lower levels; there are certainly more teams playing. In 2014/15 there were 75 teams competing in the eight leagues below Eastern Counties one and although West Norfolk III are not competing this season, three new teams have joined: Colchester V, Lowestoft & Yarmouth III and Sudbury III taking the total to 77. Last season the big problem was call offs, particularly in EC4N with many weeks seeing more games cancelled than being played, mainly due to clubs entering teams that couldn’t put out a side on a consistent basis and teams unwilling to travel short of players. By the end of December 2014 over 46% of scheduled fixtures in EC4N had been cancelled but for the same period this season that has fallen to 25%. Those teams that were consistently calling off last season are now fielding a side every week and quite a few call offs happened during the Rugby World Cup due to potential players going to games. It is a similar picture across all the ECRU leagues with an overall call-off rate of 14%. But to what can the lower rate of call offs be attributed? There could be the effect of the World Cup; despite England not performing to expectations clubs had been preparing for an increase in interest and a survey of Eastern Counties clubs suggests a net number of over 200 more players joined clubs in the first half of this season. But I think the league structure itself can take a lot of the credit. Travel times are shorter than they were two years ago considering the size of Eastern Counties. EC3 South has Brightlingsea, Clacton II, Colchester V, Essex University and Mersea II, all in North East Essex, while road links to the remaining clubs, Halstead Templars, Stowmarket II and Thurston II, are pretty good with journey times of less than an hour for all the clubs. The first season saw some one-sided games but with the stronger teams being promotes and the weaker ones relegated, the results are far more even and so more competitive, encouraging players that they will not necessarily be on the wrong end of a cricket score. However there still are some results that make you wince, the game I watched at Brightlingsea being a good example. Clacton II was made up of Colts players whose game the following day ad been called off. 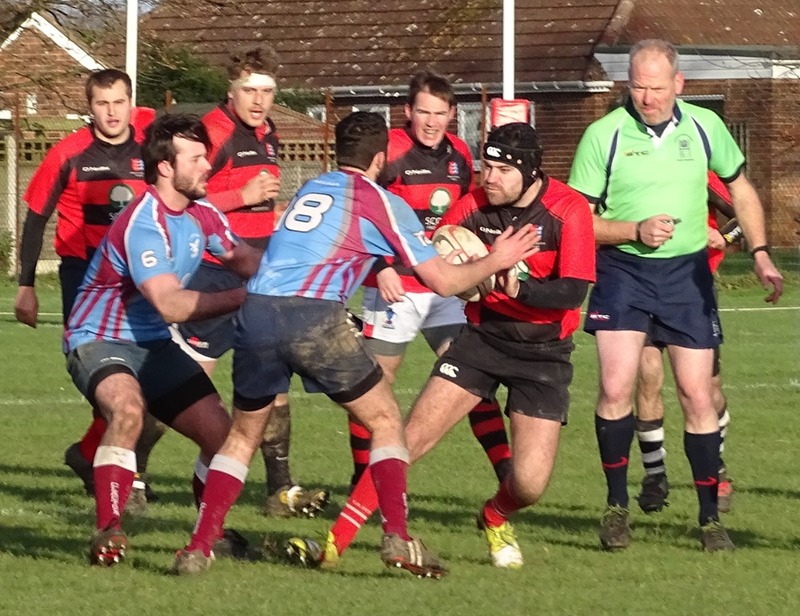 It was quite literally men against boys with promotion-chasing Brightlingsea racking up over a hundred points, although Clacton II did manage a morale-boosting consolation try after a red card to a Brightlingsea forward. I will be keeping an eye on results for the remainder of the season but my feeling is that the ECRU Leagues have proved to be a success and other areas around the country could do worse that follow Eastern Counties’ example.